I know we can live a healthy and cruelty-free life if we eat a varied diet of quality plant-based whole foods. In a perfect utopian world all the foods grown would be rich in nutrients and we would absorb all the vitamins and minerals from our food and be bounding with energy with no supplements... However the truth is, sometimes even when we eat healthy, the soil in our country may be totally lacking a mineral, such as zinc and so therefore so is our food (hello Australia) and with our perfectly imperfect bodies, sometimes we need some support. This is true whether we are eating a plant-based diet or include meat and dairy. When people blame avoiding meat as a cause of feeling tired or illness, I like to remind them that the hospitals are full of people who eat meat in their diet and they are still sick... perhaps even more so, since studies show plant-based diets actually decrease the risk of many illnesses such as heart disease, stroke, diabetes and cancer. What can happen though, is sometimes people decide to go vegetarian or vegan but don't do it mindfully and instead start consuming huge amounts of empty processed carbs. This will get you unwell and feeling tired. First and foremost, whether vegan or transitioning to eat less meat, for great health and energy we want to make sure we eat the best quality alive foods - load up on vegetables, grains, seeds, nuts, good oils and fruits. Eat a variety. Eat as organic or pesticide-free as you can. Don't microwave or overcook your food and buzz all the goodness out of it! Then we want to do what we can to reduce - or learn to cope with or counterbalance- stress in our lives. Mediation, yoga, pranayama, time off your screen, a work-life balance, PLAYTIME - whatever it is you find relaxing and nourishing to your nervous system and mind is not only beneficial to your state of wellbeing, it literally is the best medicine you can give your body. Our state of mind greatly influences what hormones the body produces and in-turn the "running of our system". The more stressed you are, the more nutrients your body uses and therefore requires! Stress also comes in the form of what we put into our body. We want to avoid the foods and, when possible, medications that put more pressure on the bodies needs. Foods - you know the ones; sugar, processed carbs, soft drinks, too much caffeine, alcohol, artificial flavours and colours - also all put more pressure on our systems. For example tannins (a type of plant compound) found in caffeine inhibit the absorption of calcium, iron, magnesium and B-vitamins. Alcohol inhibits the absorption and usage of vital nutrients such as thiamin (vitamin B1), vitamin B12, folic acid, and zinc. I am all for having a little sweet or enjoying a good cup of coffee - but don't lean on these foods. Cut them down significantly and make sure they are not the features of your diet, rather they are the special occasions! Lastly we want to really be true with the state of our body - honestly accepting and acknowledging what weaknesses or illnesses you are dealing with. It is important to be clear with what longterm or short-term systems you may be wrestling with. Our bodies shows us signs in the forms of niggles and discomforts or lethargy as a way of COMMUNICATING with us. We are spiritual beings having a human experience, yes, BUT our bodies are so so so intuitively intelligent. The human aspect of our physical selves can often be our greatest teacher... if we are willing to be in conversation with it. Many serious illness could have been avoided if we were more open to hearing what our bodies are trying to tell us years before with just some annoying little issues. Too many times these warning signs are ignored... I urge you to be in relationship with your body and seek out a professional that can help navigate how to support your needs! This goes for times such as pregnancy and breastfeeding or older age too - acknowledging our body needs some extra support and love yourself enough to dedicate time and resources to doing this! By supplementing with certain nutrients you can support your body to be able to function optimally and give it a helping hand in times of needs like described above! 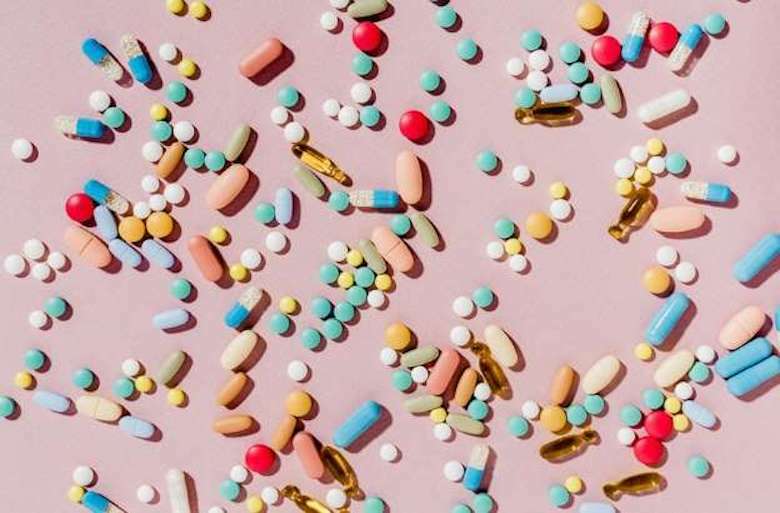 I don't believe we want to blindly swallow a plethora of pills, even when they are herbs and vitamins, without having some understanding of when and why we take them. A Naturopath can help you with a program of herbs specifically for your situation - also helping with an absorption issues and finding good quality brands! We need B12 for DNA synthesis, maintenance of the outer protective layer of nerves, red blood cell production and clearing out excess homocysteine. A deficiency of B12 can show with a foggy mind, memory problems, fatigue and shortness of breath plus other nervous system problems we want to avoid. If you are on a strict plant-based diet, this is the number one supplement you should be taking as it is unlikely you get sufficient, if any in your diet. Zinc is essential for our immune system, cell division and growth and wound healing. Look out for those white spots on your nails as a sweet little indicators you may need more. A lacking of zinc can show itself as constant infections that are often hard to overcome, over-sensitivity and irritability and acne. If you are a mama to a child who gets angry easily, is a fussy eater, tires easily and is majorly reactive to things like their socks or sounds, they could very well be in much need of some zinc too! Essential oils need to be consumed and they are essential for providing the building blocks for cell membranes and acting as raw materials that can be converted to other substances that perform special duties in your body such as hormones.When we are lacking in them we may have hormonal imbalances, arthritic symptoms, learning difficulties or skin problems like dermatitis. Consume foods like flaxseed oil, chai seeds, hemp seeds plus supplement with algae or buckthorn oils. They are even doing liquid form of these supplements if you have children who can't swallow capsules. Iodine is abundant in sea vegetables, such as pulse flakes, nori, wake and kelp, so including these in your diet is important and tasty! Or supplement with Spirulina! If you do an easy urine test with your doctor and are deficient you can also take iodine drops until you are at a healthy level again. Magnesium is needed for so many functions including nerve and muscle reactions, bone health and energy production. If you are getting the funky eye twitchers (always fun:) or spasms when falling to sleep, you my friend, need some magnesium! In times of stress or physical exertion, magnesium supplements can be very beneficial. You can always support with magnesium gently through epsom salt baths or even transdermal creams these days. Otherwise some magnesium powder at night before bed will also help you rest well! *Note that this is not a finished list and never is a replacement for seeing a professional with your individual needs.